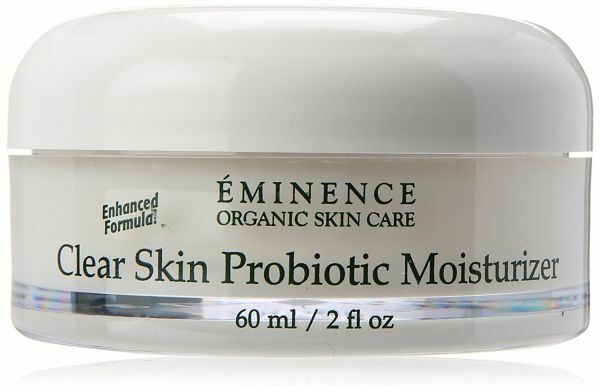 Eminence Clear Skin Probiotic Cleanser removes excess surface oil and build up, helps to heal and prevent blemishes, purifies and detoxifies, leaving the skin well balanced with improved texture. 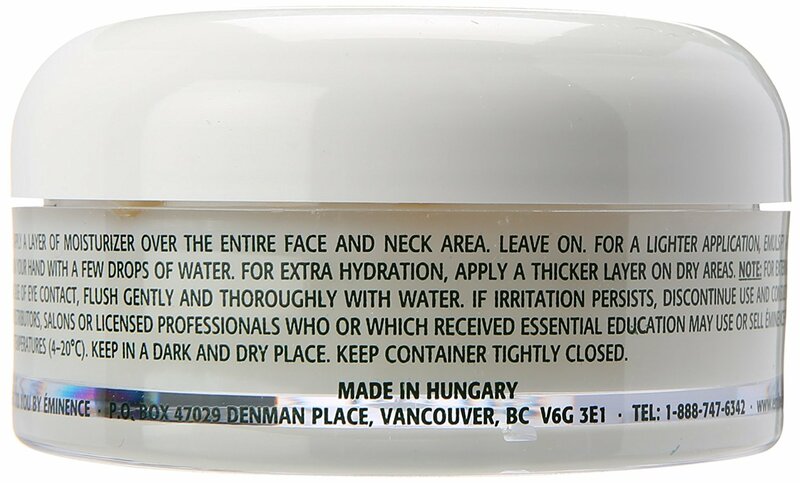 Use this ultra-light daily moisturizer to detoxify and clear the appearance of problem skin, while leaving behind the appearance of irritation or clogged pores. 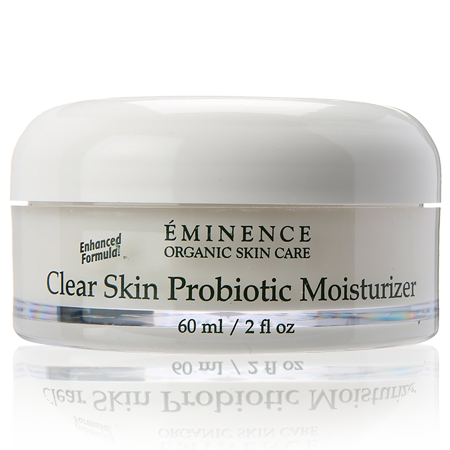 Cool and balance your skin with our Clear Skin Probiotic Cleanser. 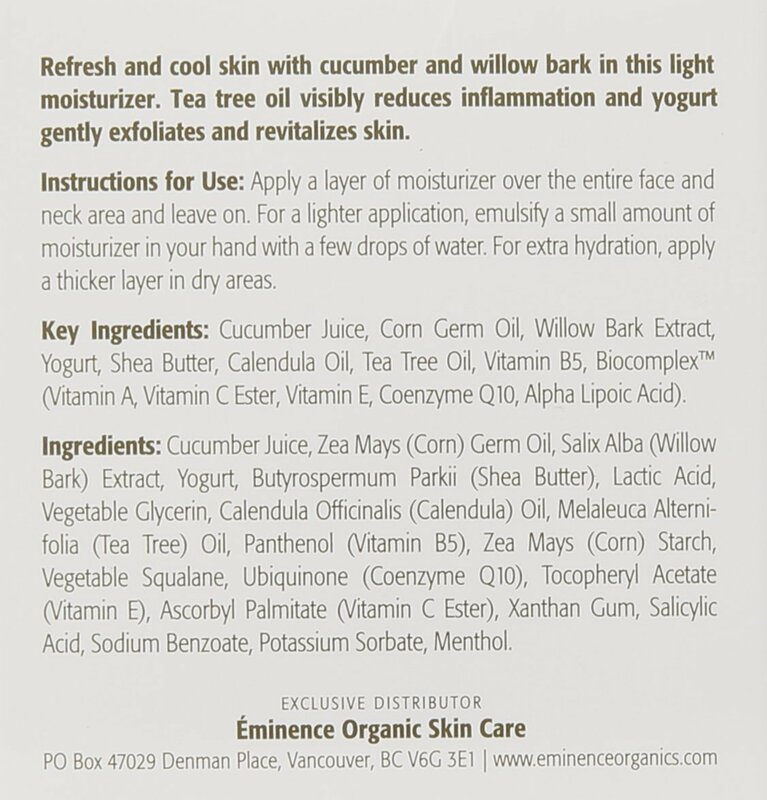 This clarifying cream-gel cleanser treats oily and problem skin with cucumber and tea tree oil. 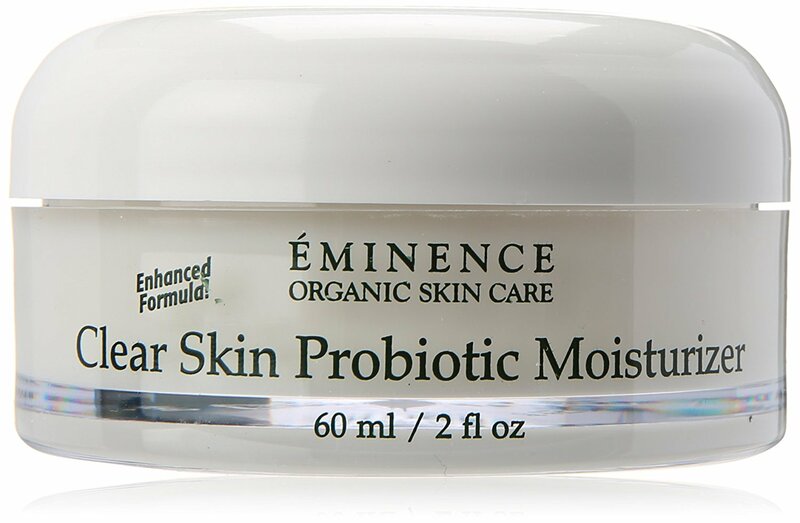 Sweet almond milk and yogurt reduce the visible signs of problem skin and breakouts without stripping the skin of moisture. 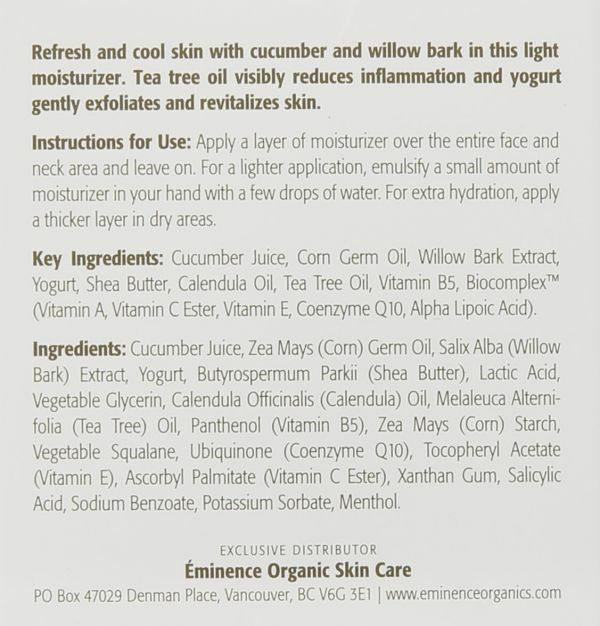 Cucumber and tea tree help prevent the appearance of blemishes and reduce the appearance of inflammation while probiotics exfoliate and soothe the complexion.